Cynthia Greig. Witzenhausen Gallery, Amsterdam, the Netherlands, November 13–December 11, 2010. Nature Morte: The Matter of Life and Death. Color photography. Annie Feldmeier Adams. Lincoln Park Conservatory, Chicago, Illinois, September 19, 2010–January 31, 2011. Requiem. Four-channel sound installation. Yueh-Mei Cheng. Taliesin, Frank Lloyd Wright Foundation, Spring Green, Wisconsin, July 25–September 25, 2010. Art Exhibition of Yueh-Mei Cheng. Painting. Nicholas Hill, Miller Gallery, Otterbein University, Westerville, Ohio, October 18–November 20, 2010. The Santiago and Valparaiso Projects: New Work by Nicholas Hill. Printmaking and collage. Nicholas Hill, Crandall Art Gallery, Mount Union College, Alliance, Ohio, November 2–December 10, 2010. The Dresden Journals. Printmaking and painting. Jonathan W. Hils. Oklahoma City Museum of Art, Oklahoma City, Oklahoma, September 9, 2010–January 2, 2011. Intersection. Sculpture. Vesna Jovanovic. Contemporary Art Center of Peoria, Peoria, Illinois, September 11–October 30, 2010. Vesna Jovanovic: Ceramic Sculpture and Drawings. Ceramics and drawing. Patrick Luber. Moss-Thorns Art Gallery, Fort Hays State University, Hays, Kansas, October 22–November 19, 2010. A Beautiful Obsession. Sculpture. Cynthia Greig. Clark Gallery, Lincoln, Massachusetts, November 2–27, 2010. Nature Morte. Color photography. Roger Shimomura. Flomenhaft Gallery, New York, October 28–December 11, 2010. An American Knockoff. Painting. Virginia Derryberry. Nashville International Airport, Nashville, Tennessee, September 14, 2010–March 6, 2011. Lauren Flying Solo. Oil on canvas. Virginia Derryberry. Fine Arts Gallery, ValdostaState University, Valdosta, Georgia, September 20–October 8, 2010. Alchemical Narratives. Oil on canvas. The Women’s Caucus for Art (WCA), a CAA affiliated society, has announced the 2011 recipients of its Lifetime Achievement Award: Beverly Buchanan, Diane Burko, Ofelia Garcia, Joan Marter, Carolee Schneemann, and Sylvia Sleigh. In addition, WCA has given the 2011 President’s Art and Activism Award to Maria Torres. The awards ceremony will be held on Saturday, February 12, 2011, during the annual WCA and CAA conferences in New York. The awards ceremony, free and open to the public, will take place from 6:00 to 7:30 PM in the Beekman/Sutton rooms at the Hilton New York, followed by a ticketed gala from 8:00 to 10:00 PM at the nearby American Folk Art Museum. Called LIVE SPACE, the gala will include a walk-around gourmet dinner with three food stations and an open bar, as well as the opportunity to meet the award recipients, network with attendees, and tour the museum. Ticket prices for LIVE SPACE are $75 for WCA members and $135 for nonmembers (Prices will increase after January 12). CAA members receive a special price of $120. All tickets include reserved seating at the awards presentation. For more information or to purchase tickets, please visit the WCA website. 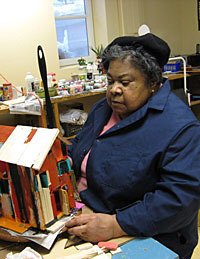 Born in 1940, Beverly Buchanan began creating art at an early age. She received a bachelor’s degree in medical technology from Bennett College in Greensboro, North Carolina, and then earned a master’s of science in parasitology and a master’s of public health degree, both from Columbia University. Rather than pursuing a degree in medicine, she decided to focus on making art. Buchanan studied at the Art Students League before moving to Georgia, where she still lives, dividing her time between there and Michigan. Her early sculptures were poured concrete and stone, and she has since worked in a variety of media, focusing on southern vernacular architecture. Buchanan is the recipient of a John Simon Guggenheim Memorial Foundation fellowship, a Pollock-Krasner Foundation award, and two National Endowment for the Arts fellowships. In addition, she was a Georgia Visual Arts honoree and a recipient of an Anonymous Was a Woman Award, and was honored with a Recognition Award by CAA’s Committee for Women in the Arts in 2005. A painter and photographer who resides in Philadelphia and Bucks County, Pennsylvania, Diane Burko has been involved in the feminist movement since the early 1970s. She is a founding member of WCA who also founded and organized the first multivenue feminist citywide art festival in Philadelphia, called “Philadelphia Focuses on Women in the Visual Arts, Past and Present,” also known as “Focus.” After that event, Burko continued her feminist commitment to the present day, serving on the WCA and CAA boards and on the Philadelphia Art Commission. She is now the chair of CAA’s Committee on Women in the Arts. Burko has been recognized with fellowships from the Bellagio Center, the Terra Summer Residency in Giverny, and the National Endowment for the Arts, among many other honors. One of the first movers and shakers in the feminist art movement, Burko has not yet been fully recognized for her important contributions. Ofelia Garcia is professor of art at William Paterson University, where she was dean of the College of the Arts and Communication for a decade. She earned her BA at Manhattanville College and her MFA at Tufts University, and was a Kent fellow at Duke University. Garcia has been on the art faculty at Boston College, a critic at the Pennsylvania Academy of the Fine Arts, director of the Print Center in Philadelphia, and president of the Atlanta College of Art and Rosemont College. Also a former president of WCA, Garcia has served on numerous boards, including those of CAA, the American Council on Education, and Haverford College; she was most recently board chair of the Jersey City Museum. Garcia now serves as vice chair of the New Jersey State Council on the Arts, on the Hudson County Art Commission, and on the boards of the Brodsky Center for Innovative Editions and Catholics for Choice. Joan Marter is distinguished professor of art history at Rutgers University. She received her PhD from the University of Delaware and has lectured and published widely. She is currently editor-in-chief of The Grove Encyclopedia of American Art, a five-volume reference set forthcoming from Oxford University Press in 2010. 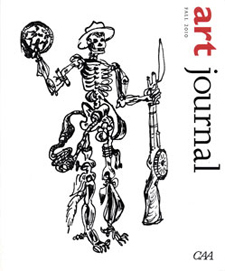 Marter serves as editor of Woman’s Art Journal, in print continuously for thirty-one years. She has published monographs on artists such as Alexander Calder and has written extensively about Abstract Expressionism and women artists. In 2004, she was inducted into the Alumni Wall of Fame at the University of Delaware. A former member of the CAA Board of Directors, Marter is currently president of the Dorothy Dehner Foundation for the Visual Arts. Carolee Schneemann is a multidisciplinary artist whose radical works in performance art, installation, film, and video are widely influential. The history of her imagery is characterized by research into archaic visual traditions, pleasure wrested from suppressive taboos, and the body of the artist in dynamic relationship with the social body. Her involvement in collaborative groups includes the Judson Dance Theater, Experiments in Art and Technology, and many feminist organizations. Schneemann has exhibited her work at the Museum of Contemporary Art in Los Angeles, and in New York at the New Museum of Contemporary Art, the Museum of Modern Art, and the Whitney Museum of American Art. Internationally, she has shown at the Museo Nacional Centro de Arte Reina Sofía in Madrid, the Moderna Museet in Stockholm, and the Centre George Pompidou in Paris. Her recent multichannel video installation Precarious was presented at Tate Liverpool in September 2009. The Samuel Dorsky Museum of Art at the State University of New York in New Paltz presented a major retrospective in summer 2010. Born in 1916 in Wales, Sylvia Sleigh paints portraits in a realist style, informed by sources ranging from the Pre-Raphaelites to famous portraits throughout history. Her first solo exhibition was held in 1953 at the Kensington Art Gallery; her most recent, at I-20 Gallery in New York, closed in January 2010. She married the art critic Lawrence Alloway in 1954, with whom she became part of the London avant-garde. They later moved to the United States, where she continued painting and showing her work. In 1970, Sleigh became actively involved in feminism and started painting life-size nudes in her precise, realist style. She was active in many of the first women-artist-run galleries, including A.I.R. Gallery and Soho 20. Her work can be found in numerous major public and private collections. 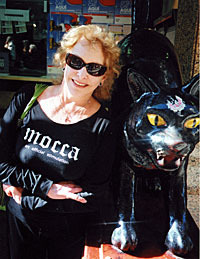 Sleigh was honored with CAA’s Distinguished Artist Award for Lifetime Achievement in 2008. 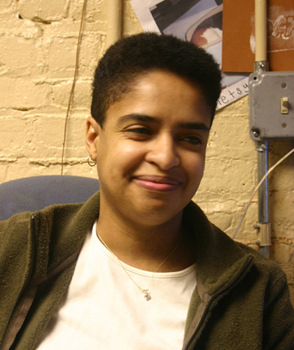 Winner of the 2011 Presidents Art and Activism Award is Maria Torres, president and chief operations officer of the Point Community Development Corporation, a nonprofit organization dedicated to youth development and the cultural and economic revitalization of the Hunts Point section of the South Bronx in New York. The Point’s mission is to encourage the arts, local enterprise, responsible ecology, and “self-investment” in a community traditionally defined in terms of its poverty, crime rate, poor schools, and substandard housing. In 1993, Torres received a BS from Cornell University. That same year, she launched the Neighborhood Internship Bank for at-risk youth, the first employment service of its kind in the South Bronx, and established La Marqueta, an outdoor community market aimed at lowering the barriers to the marketplace for neighborhood entrepreneurs. In 1994, Torres worked with Paul Lipson, Mildred Ruiz, and Steven Sapp to found the Point. Recipient of Union Square Award in 1998, she served on the Board of the Bronx Charter School for the Arts from 2002 to 2009. The WCA Lifetime Achievement Awards were first presented in 1979 in President Jimmy Carter’s Oval Office to Isabel Bishop, Selma Burke, Alice Neel, Louise Nevelson, and Georgia O’Keeffe. Past honorees have represented the full range of distinguished achievement in the visual arts, and this year’s awardees are no exception, with considerable accomplishments and contributions represented by their professional efforts. John P. Bowles, associate professor of African American art in the Art Department at the University of North Carolina in Chapel Hill, has earned tenure. Eduardo de Jesus Douglas, associate professor of colonial and modern Latin American art in the Art Department at the University of North Carolina in Chapel Hill, has been granted tenure. Janet Marcavage, associate professor of art in the Art Department at the University of Puget Sound in Tacoma, Washington, has been awarded tenure. Clarence Morgan has been named 2010–11 Dorothy Liskey Wampler Eminent Professor in the School of Art and Art History at James Madison University in Harrisonburg, Virginia. Linda Williams, associate professor of art history in the Art Department at the University of Puget Sound in Tacoma, Washington, has been granted tenure. Margaretta Frederick, curator of the Samuel and Mary F. Bancroft Collection of Pre-Raphaelite Art at the Delaware Art Museum in Wilmington, has been appointed chief curator at the museum. Bonnie Laing-Malcolmson, a past president of the Oregon College of Art and Craft in Portland, has been appointed curator of northwest art at the Portland Art Museum. Kent Lydecker, who led the Education Department at the Metropolitan Museum of Art in New York for eighteen years, has been appointed director of the Museum of Fine Arts in St. Petersburg, Florida. He succeeds John Schloder, who retired in July after more than nine years. Alexandra Schwartz, formerly coordinator of the Modern Women’s Project at the Museum of Modern Art in New York, has been appointed curator of art at the Montclair Art Museum in Montclair, New Jersey. Daniel Walker has become the Pritzker Chair and Curator of Asian Art and Chair and the Christa C. Mayer Thurman Curator of Textiles at the Art Institute of Chicago in Illinois. Anne Barlow, executive director of Art in General in New York, has been appointed curator of the fifth Bucharest International Biennale for Contemporary Art, taking place in Romania in 2012. William Carroll, an artist, curator, and gallerist, has been chosen director of the EFA Studio Program at the Elizabeth Foundation for the Arts in New York. He succeeds Francine Affourtit, who continues at the foundation as director of program development. Chandra L. Reedy, professor of historic preservation, art history, and Asian studies at the University of Delaware in Newark, has been appointed editor-in-chief of Studies in Conservation, the journal of the International Institute for Conservation of Historic and Artistic Works. The Amon Carter Museum of American Art in Fort Worth, Texas, has received a Museums for America grant from the Institute of Museum and Library Services. The $150,000 award supports the Access to American Photography initiative, which will allow the museum to digitize and catalogue nearly twenty-five thousand photographs from its collection. The Corning Museum of Glass in Corning, New York has received subsequent accreditation from the American Association of Museums (AAM). The honor signifies that the museum has undergone a rigorous, lengthy process of self-examination and peer review, and has been subsequent approved by AAM’s Accreditation Commission. Kennesaw State University (KSU) in Kennesaw, Georgia, has accepted a $2 million pledge to build an art museum that will house the school’s permanent collection. To receive a $1 million pledge from Bernard A. Zuckerman, a former carpet-industry executive, KSU must raise at least $1 million of its own in the next nine months. The Maryland Institute College of Art in Baltimore has announced several new academic programs that have just started or will launch soon: an MFA in community arts (2010); an MPS in the business of art and design (May 2011); an MFA in curatorial practice (fall 2011); an MFA in illustration practice (fall 2011); an MA in social design (in development, fall 2011); and an integrated double-major BFA in humanistic studies and studio discipline (fall 2011). The National Gallery of Australia in Canberra has welcomed a $7 million gift from the Melbourne philanthropist Pauline Gandel and John Gandel AO. The donation will help develop the national art collection for future generations of Australians. Further, the newly named Gandel Hall will host openings, special events, public programs, and school and educational activities. The New Orleans Museum of Art in Louisiana has received subsequent accreditation from the American Association of Museums (AAM). This means that the institution has undergone a rigorous, lengthy process of self-examination and peer review, and was subsequent approved by AAM’s Accreditation Commission. Shimon Attie, an artist based in New York, has received a 2010 Artists’ Fellowship in video from the New York Foundation for the Arts. Caroline Bruzelius and William Tronzo have been awarded a three-year Collaborative Research Grant from the National Endowment for the Humanities (2011–14) for a study of the Kingdom of Sicily, 1130–1442. The project has two parts: a narrative text in print and a catalogue of sites and monuments using open-access technologies to provide a database of visual and textual material. Josephine Halvorson, an artist based in Brooklyn, New York, has received a 2010 Artists’ Fellowship in painting from the New York Foundation for the Arts. Michelle Handelman, an artist based in Brooklyn, New York, and assistant professor at the Massachusetts College of Art and Design in Boston, has received a 2010 Artists’ Fellowship in video from the New York Foundation for the Arts. Denise Iris, an artist based in New York and visiting assistant professor in film and media studies at Swarthmore College in Swarthmore, Pennsylvania, has received a 2010 Artists’ Fellowship in video from the New York Foundation for the Arts. Susan Maxwell, associate professor of art history at the University of Wisconsin in Oshkosh has received a 2010–11 Historians of Netherlandish Art Fellowship for her book, The Court Art of Friedrich Sustris: Patronage in Late Renaissance Bavaria, forthcoming from Ashgate. Claudia Sohrens, an artist and visiting professor at the New School the Parsons School of Design and at Pratt Institute, both in New York, has received a 2010 Artists’ Fellowship in photography from the New York Foundation for the Arts. Her Aufheben project explores concepts of selecting, collecting, and hoarding in contemporary culture. Mary Ting, a New York–based artist, has received a 2010 Individual Support Grant from the Adolph and Esther Gottlieb Foundation. Penelope Umbrico, an artist based in Brooklyn, New York, has received a 2010 Artists’ Fellowship in photography from the New York Foundation for the Arts. She is also Deutsche Bank Fellow. Angie Waller, an artist who works in video, books, web-based applications, and installation, has recently participated in the 2010 Art and Law Residency Program, offered by Volunteer Lawyers for the Arts in New York. Peter Barnet, Anne Betty Weinshenker, Gail Stavitsky, and M. Teresa Lapid Rodriguez. Will Barnet. George Segal Gallery, Montclair State University, Montclair, New Jersey, September 21–December 11, 2010. Jonathan Brown, Lisa A. Banner, and Susan Grace Galassi. The Spanish Manner: Drawings from Ribera to Goya. Frick Collection, New York, October 5, 2010–January 9, 2011. Christine Carr and Amy G. Moorefield. The Fleeting Glimpse: Selections in Modern and Contemporary Photography from the Virginia Museum of Fine Arts. 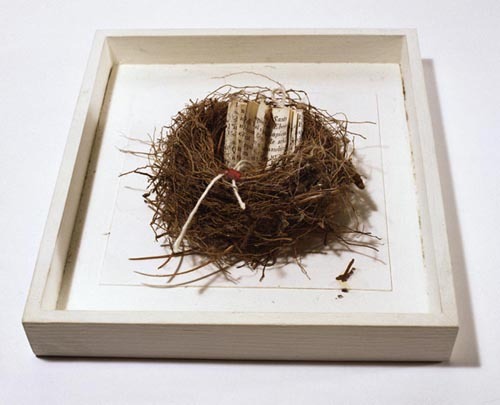 Eleanor D. Wilson Museum, Hollins University, Roanoke, Virginia, September 16–December 4, 2010. 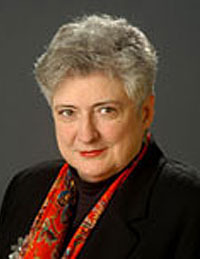 Susan Earle. Site Specifics. Spencer Museum of Art, University of Kansas, Lawrence, Kansas, August 28, 2010–January 16, 2011. Molly S. Hutton. Beyond Realism: The Works of Kent Bellows 1970–2005. Joslyn Art Museum, Omaha, Nebraska, September 25, 2010–January 16, 2011. Thomas Kren. Illuminated Manuscripts from Belgium and the Netherlands. J. Paul Getty Museum, Los Angeles, California, August 24–November 7, 2010, and November 9, 2010–February 6, 2011. David E. Little. Embarrassment of Riches: Picturing Global Wealth, 2000–2010. Minneapolis Institute of Arts, Minneapolis, Minnesota, September 16, 2010–January 2, 2010. Fernando Marías and María Cruz de Carlos Varona. El Greco: Los Apóstoles, santos y “locos de Dios.” Museo de Guadalajara, Palacio del Infantado, Guadalajara, Spain, September 16–November 14, 2010. Anthony Montoya and James Krippner. Paul Strand in Mexico. Aperture Foundation, New York, September 9–November 13, 2010. Elizabeth Morrison and Anne D. Hedeman. Imagining the Past in France, 1250–1500. J. Paul Getty Museum, Los Angeles, California, November 16, 2010–February 6, 2011. Micheline Nilsen. Documenting History, Charting Progress, and Exploring the World. Snite Museum of Art, Notre Dame University, Notre Dame, Indiana, September 5–October 31, 2010. John Romanski. 402 Years Later. Nashawannuck Gallery, Easthampton, Massachusetts, October 9–November 9, 2010. Katy Siegel. Americanana. Bertha and Karl Leubsdorf Art Gallery, Hunter College, City University of New York, New York, September 16–December 4, 2010. Kristina Van Dyke. Objects of Devotion. Menil Collection, Houston, Texas, August 13–October 31, 2010. Julia M. White and Andreas Marks. Flowers of the Four Seasons: Ten Centuries of Art from the Clark Center for Japanese Art and Culture. University of California Berkeley Art Museum and Pacific Film Archive, Berkeley, California, August 25–December 12, 2010. Julia Ballerini. The Stillness of Hajj Ishmael: Maxime Du Camp’s 1850 Photographic Encounters (New York and Bloomington, IN: iUniverse Publishers, 2010). 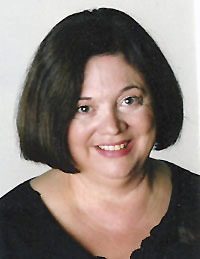 Anne Burkus-Chasson. Through a Forest of Chancellors: Fugitive Histories in Liu Yuan’s Lingyan ge, an Illustrated Book from Seventeenth-Century Suzhou (Cambridge, MA: Harvard University Asia Center, 2010). Carol G. Duncan. A Matter of Class: John Cotton Dana, Progressive Reform, and the Newark Museum (Pittsburgh, PA: Gutenberg Periscope Publishing, 2010). Aldona Jonaitis and Aaron Glass. The Totem Pole: An Intercultural History (Seattle: University of Washington Press, 2010). Andreas Marks. Japanese Woodblock Prints: Artists, Publishers, and Masterworks, 1680–1900 (Rutland, VT: Tuttle, 2010). Andreas Marks and Sonya Rhie Quintanilla, eds. Dreams and Diversions: Essays on Japanese Woodblock Prints from the San Diego Museum of Art (San Diego, CA: San Diego Museum of Art, 2010). CAA recognizes the lives and achievements of the following artists, scholars, curators, architects, filmmakers, museum directors, and other important figures in the visual arts.